I’m a firm believer in Mike Espey’s line of Country Chef Grilling Sauces. They stand out from other sauces because they really emphasize freshness in their flavor profiles. I’ve done a couple of reviews on this line of sauces which you can view here and here. 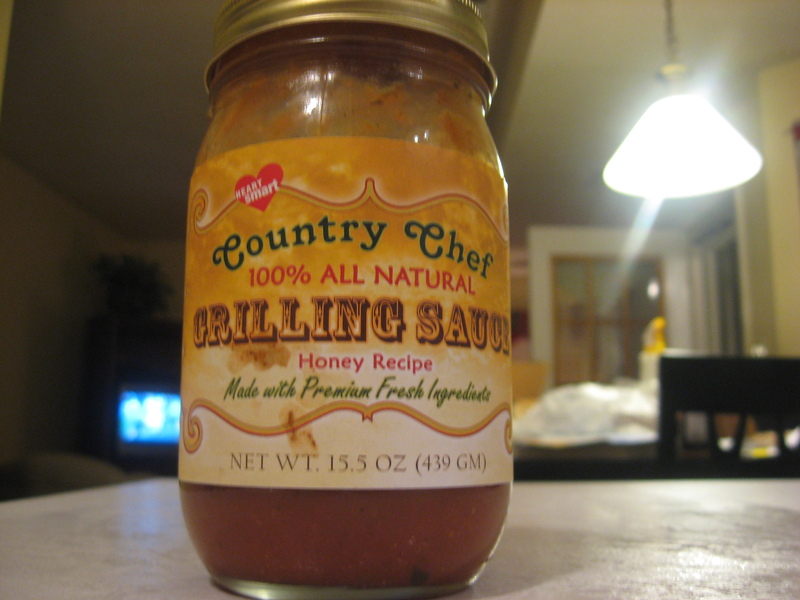 Today let’s check out the Country Chef Honey Grilling Sauce. The sauce pours out very thick, and you immediately notice the different spices and ingredients. This holds true to how Mike constructs his sauces, emphasizing the freshness of the ingredients. 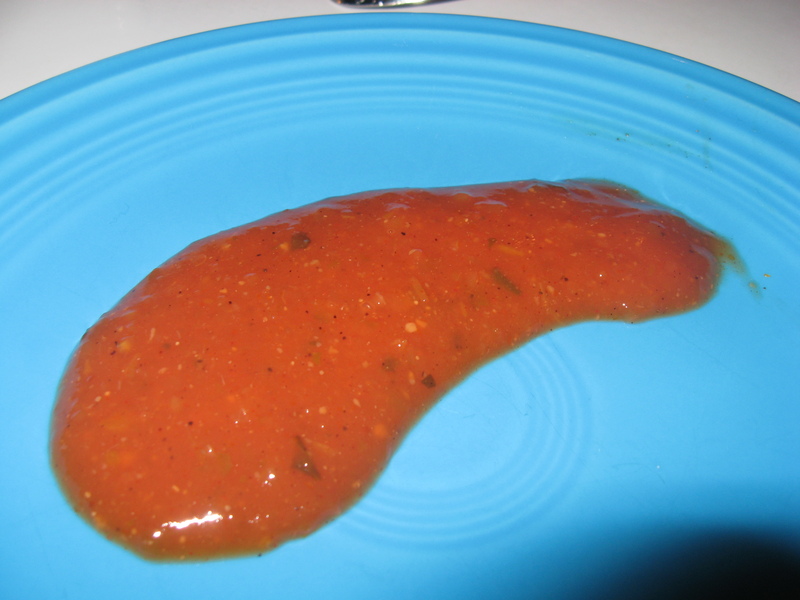 The color is consistent with a homemade tomato sauce, which works in the context that he is presenting the sauce. I took a taste, and this sauce holds true with the other sauces in this line that I’ve tried so far. This is a very non-traditional sauce in terms of consistency and taste, but it is very pleasant. Again, it tastes very FRESH! I could taste a very faint touch of honey, but it does not overpower everything else going on in the sauce. Yep… it’s that blasted chicken again. This is the third and final sauce I used in the big test cook I performed over the weekend. I trimmed up six chicken thighs and seasoned them with chicken rub from Bandiola Spice Co. After grilling the thighs for 10 minutes skin-side down, I flipped them and sauced them. 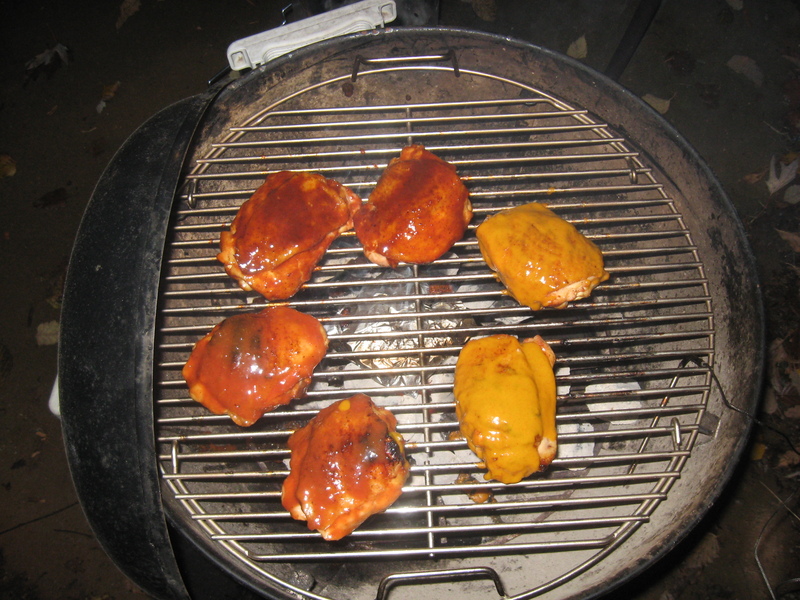 The thighs using the Country Chef Honey Grilling Sauce are the two to the left of the mustard. After about 20 additional minutes on the grill, I pulled them off the Weber kettle and plated. While they were resting, I decided to grab a quick picture. When I took a bite of the chicken, my taste buds started dancing in my mouth and jumping for joy. The sauce really enhanced the flavors that were already present in the chicken. 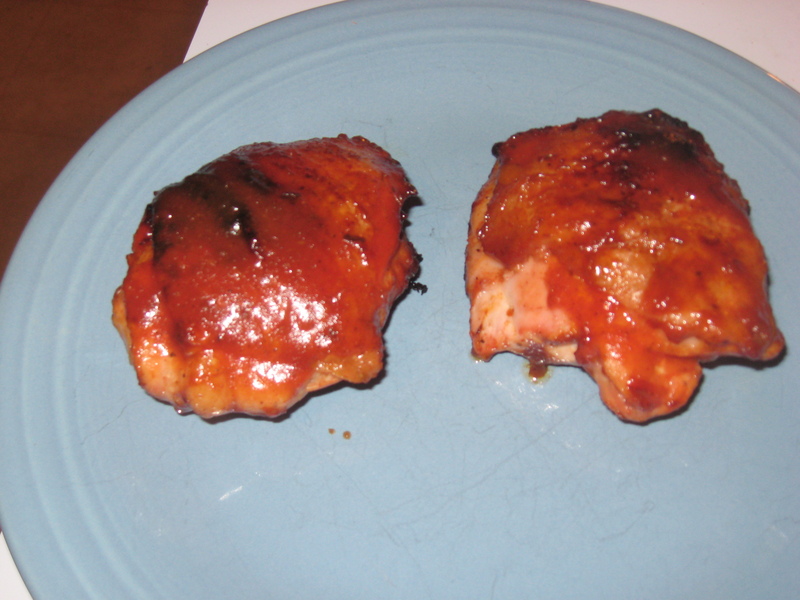 The honey was more prevalent after cooking on the chicken than when tasting alone. All in all, an excellent sauce! You can find Country Chef Grilling sauce on Facebook. I’m not sure if there is a website yet for this line of sauce, but you can connect with Mike on the Facebook page. As far as I can tell, you can purchase six jars of sauce for $35.94 shipped to anywhere in the US. This comes out to be $3.50 per jar plus shipping, which is a great deal! This entry was posted in Product Reviews, Sauces and tagged barbecue, BBQ, BBQ sauce, BBQ sauce reviews, Chicken, Country Chef, North Carolina. Bookmark the permalink. Mmmmmh yummy ! I love how the sauce looks !